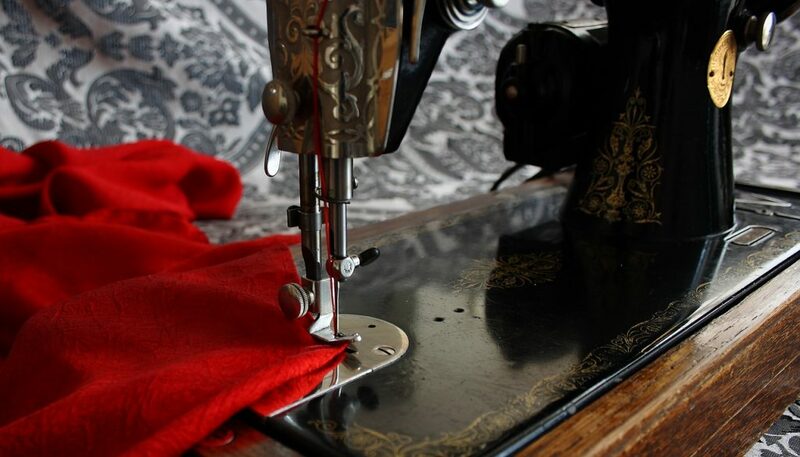 Sewing can add so much more to your life and your wallet than many other hobbies. It’s an easy way to make friends, save money, and even add a little (or a lot!) of cash to your pocket. There are many reasons to sew, but here are the 5 we find most compelling. You’re Your Own Personal Tailor. Being able to personalize and repair store-bought clothing is a bigger asset than you might imagine. when your clothing is fitted to you, you look more put together. Look more professional on the job, and give your wardrobe a more expensive look by customizing your clothing to fit perfectly to you. Nothing boosts confidence quite as much as a well-fitted wardrobe. You Can Save and Earn Cash. You can save a ton of money by repairing and altering the clothes that you already have. Now, rather than having to take clothes to a tailor to have them fitted just to you, you can do alterations yourself with a simple sewing machine for beginners. You can also save even more money by repairing clothes rather than having to pay someone else to do it – or worse – having to replace the clothes entirely with brand new ones. If you take it a step further, however, not only can you repair and make alterations to other people’s clothing for a little extra money, you can design and create whole pieces for others. This can be a very profitable business, even when factoring in the cost of materials and labor. You Can Express Yourself More Easily. You can kiss those days of going all over town desperately searching for the perfect outfit goodbye. When you know how to sew, you can add your own flair and style to the clothes you wear, whether you alter them, or make them yourself. Always have the right look and the look that suits your personality when you learn how to sew. It’s a Skill to be Proud Of. This is a skill that can add value to your current job. Many times when you apply for a job, you will get the question of ‘do you have any other skills or hobbies’. Sewing is a hobby that doubles as a skill, that is as creative as it is practical. It says all of the right things about you. Make Longlasting Friendships with Sewing. Perhaps it’s the unique blend of creativity, practicability, and entrepreneurial qualities that make the people you’ll meet in sewing circles so distinct. Not only will you get great advice on sewing, you’ll also make lasting friendships with like-minded people when you join a group focused on sewing. There are tons of excellent reasons to start sewing, these are just a few. Find your own reason why, and let it grow from there. Just don’t let the opportunity to learn to sew pass by you!